Talking up New Zealand motorhoming. An independent survey by New Zealand’s largest seller of motorhomes shows New Zealanders are more likely to visit New Zealand destinations if they have the time to travel there in motorhomes. Eighty per cent of the more than 10,000 New Zealanders surveyed are ‘extremely likely’ to recommend their country as a travel destination – in spite of New Zealanders themselves being more likely to holiday overseas than in their own country. Twenty four per cent of New Zealanders surveyed are more likely to have taken a 10-day trip overseas in the last year than the 18 per cent who chose a domestic holiday – in spite of 83 per cent saying they don’t travel as much as they would like to. More than half the sampled population 57 per cent, believe it is more expensive to travel in New Zealand compared to other countries. Almost 70 per cent of New Zealanders want to see more of the country and about half of them want to do so in a motorhome. Second option is travelling by car and with two per cent saying it would be best to fly from place to place. “Kiwis are known for being a nation of travellers, and being in a motorhome means they can take their time visiting all the beautiful locations New Zealand has to offer, with the added benefit of being able to pull over and have a cuppa or a make a bite to eat anywhere they like and get a bit off the beaten track. 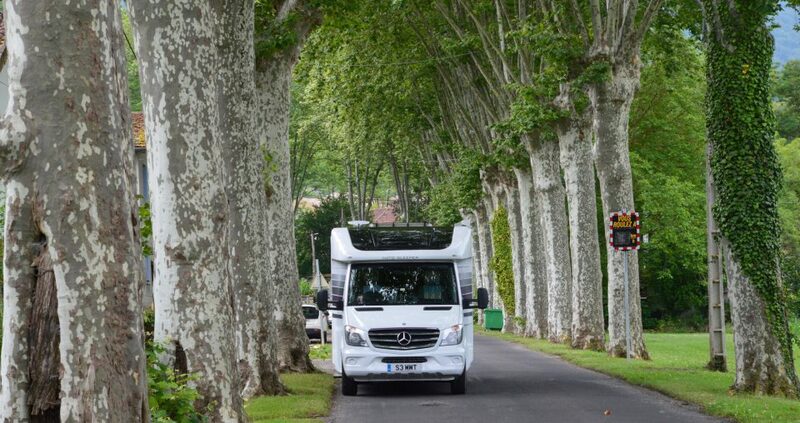 It’s a fun and explorative way to travel,” says RV supercentre managing director Grant Brady. Bay of Plenty figures show nearly 60 per cent want to see more of the country. More people from the Bay say they are ‘extremely likely’ to recommend New Zealand to overseas than any other region, that’s 84 per cent of Bay residents compared with an average of 80 per cent. People from the Bay recommend seeing New Zealand by motorhome/campervan over driving or flying. (56 per cent vs 43 per cent and 1 per cent respectively). Thirty two per cent of the people polled from the Bay say they would consider living in a caravan or motorhome for six months or more, and when asked what they are more likely to buy over the next 10 years, 27 per cent of Bay of Plenty say it will be a motorhome, 23 per cent a house and six per cent a boat and six per cent a bach, and five per cent a tent. Bay of Plenty residents are three times more likely to own a boat than a bach, and 45 per cent of people from the Bay felt it is too expensive to buy a holiday home/bach. Nearly half of those polled, 48 per cent, chose owning a motorhome over a bach, boat, caravan or tent. As age increases, the desire to own a motorhome increases and the desire to own a bach decreases, according to the survey figures. Motorhomes are also becoming more attractive to younger travellers in recent years as the price of land in New Zealand increases. “It was pleasing to learn that almost all of those surveyed agreed that it is important for Kiwis to see more of New Zealand, because it helps them to appreciate the country they live in and want to look after it, as well as supporting small towns and other tourist destinations outside of the big cities,” says Grant. 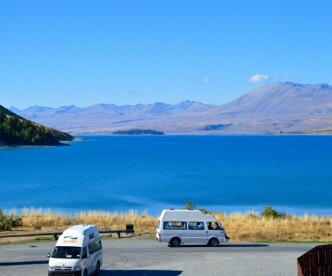 “Travelling in a motorhome allows Kiwis to take in the scenery while on the road – sometimes the journey itself is the most beautiful part, in a country like New Zealand, with the landscape changing from hour to hour,” says Brady. Eighty per cent of those polled identify “the natural surroundings” as the best thing about travelling in New Zealand. Respondents voted three scenically stunning South Island locations as being the most worth seeing in the country – Milford Sound at 23 per cent, followed by Queenstown at 19 per cent, and Abel Tasman National Park at 14 per cent of the vote. Auckland, Christchurch, Dunedin and Invercargill, each received a meagre one per cent of the vote. Rotorua is the most popular domestic destination, with a whopping 88 per cent of respondents having visited. The survey was conducted by an independent party, with 10,703 respondents across the country, over the age of 18. My parents love NZ and have been there three times and used motor homes twice. They’ve done both the islands and absolutely love the places they visited. I wrote on some of the tips they gave on my blog. Have a look and let me know what you think? Cheers!